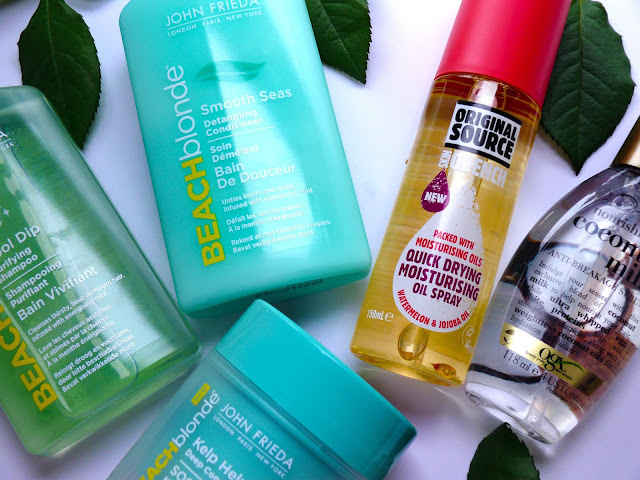 Deciding which products to take on holiday can be really stressful as you don't want to take any massive heavy bottles and at the same time you want to get products that will prevent your hair from getting damaged in the different climate. 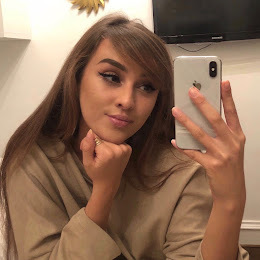 I personally didn't want to spend a lot of money as I prefer not to bring the products back home with me to help make sure that I am not going over the maximum weight limit for my suitcase, or so I can have some extra weight to bring back new things I that I find abroad. And oil spray by Original Source. I love this beach blonde hair mask as at £6.29 it is super affordable which makes it great for buying for a holiday. This is quite a light conditioner so it is easy to wash out and doesn't leave hair feeling greasy. It has a really strong and fresh peppermint scent and the tub is small and light so it's the perfect size for travelling. I love taking a hair mask on holiday to apply around once a week just to nourish my hair after all the heat, ocean and pool water drying it out. This is also definitely not just for blondes as there are no toners in these products or anything like that, I think that they perhaps chose the name due to bleached hair being more prone to drying out on holiday! 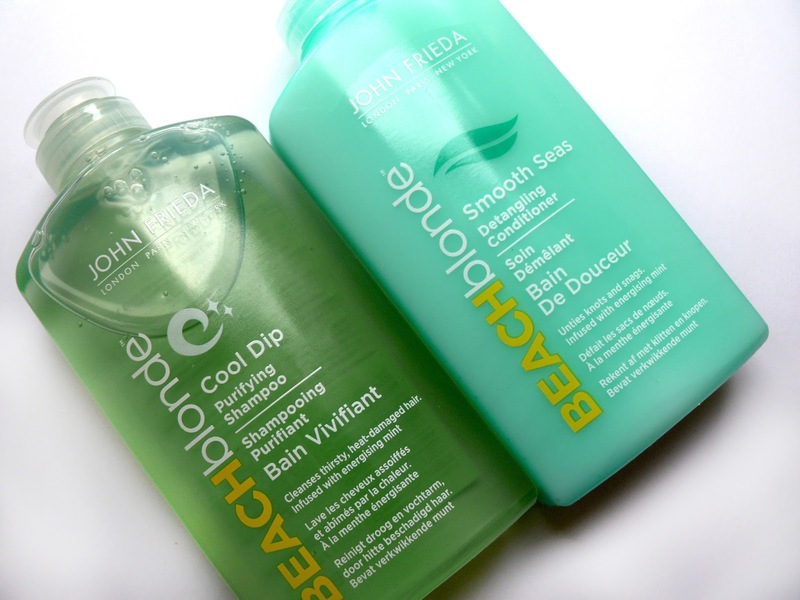 This duo from the same line are also perfect for beach holidays. They smell just as fresh and are made to cleanse dry and heat damaged hair which is also perfect for everyday use while abroad. The size of the packaging is also really handy. I went on holiday for two weeks and when the two weeks were up there was still around a quarter left of each product! Also, again this does not only need to be for blondes! Having good shampoo and conditioner is a MUST for me while I'm on holiday. These retail at £5.99 each. I literally can not go to the beach without taking some hair oil with me. I didn't want to take my expensive bottle of Moroccan oil as I wanted something that I could feel a bit less guilty about over-using. 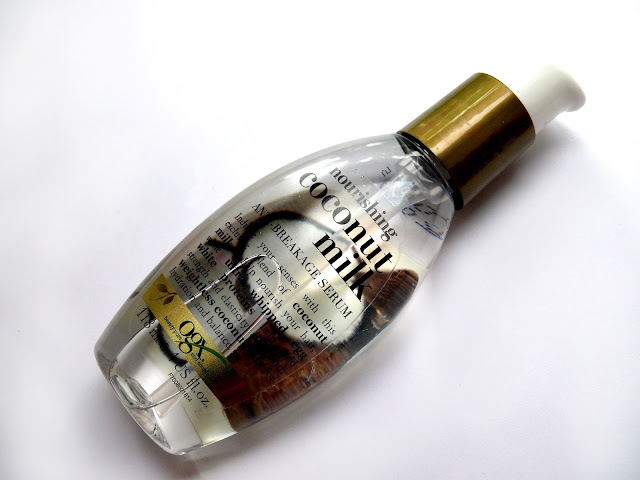 At £6.99 this nourishing coconut oil is perfect. First of all it smells so tropical and is lightweight enough to apply many times throughout the day. I always apply oil like this to my hair after I have been swimming in the ocean or the pool to make it more manageable, stop it from breaking and to make it less frizzy when it dries. This also prevents it from drying out due to the heat in general. 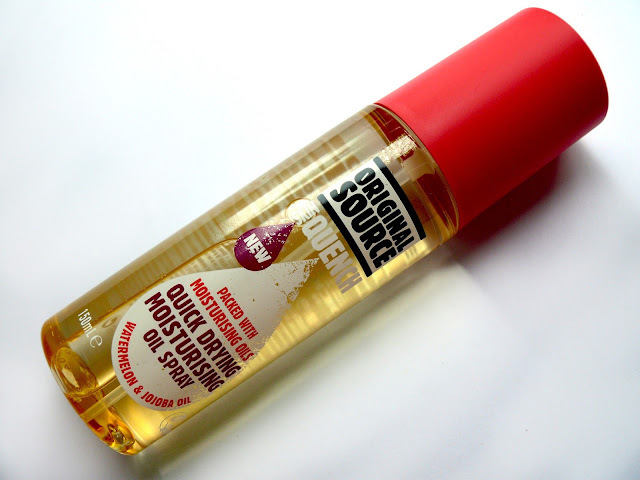 This next product is actually a moisturising oil spray for skin by Original Source. However I think this works great on both skin and hair as it is packed full of natural oils including watermelon seed oil and jojoba oil. This product is great if you're looking to take as little items as possible as it works great as a 2 in 1 for both skin and hair and this also has an amazing watermelon scent too! I hope this post is helpful for anyone looking for some holiday (or just summer in general) hair care inspiration. As I have bleached hair I do have to take a bit more care of my hair than if it were totally natural. However, I would say that no matter which shampoo and conditioner you choose to go for, a good hair oil is extremely important while on holiday. I was so glad I had taken my coconut oil with me when I was in Cyprus, it was literally a lifesaver when it came to my hair drying out.